Vacancy rates have risen in most of Australia’s capital cities – but rental prices have also increased throughout much of the country. Figures released by SQM Research show the national vacancy rate rose from 2.3 per cent in June 2014 to 2.4 per cent in June 2015. Perth’s vacancy has climbed from 2.5 per cent last year to 3.6 per cent for June 2015. Vacancy in Darwin has also risen from 1.6 per cent to 3.5 per cent. Vacancy in Brisbane rose marginally from 2.4 per cent to 2.5 per cent. Melbourne’s vacancy is down from 2.7 per cent to 2.3 per cent. In Canberra vacancy fell from 2.3 per cent to 2.2 per cent. The vacancy rate in Adelaide rose from 1.6 per cent to 1.9 per cent. Sydney’s vacancy rate remained below the national average, falling from 1.9 per cent to 1.8 per cent. Hobart’s vacancy rate was the lowest in the country, falling from 1.8 per cent to 1.5 per cent. 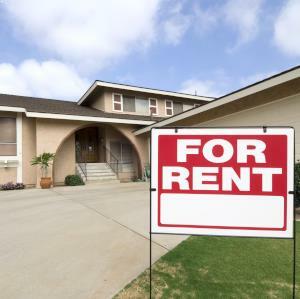 The SQM report also noted that weekly rents in Perth and Darwin fell, despite remaining above the national averages of $411 for houses and $339 for units. Perth houses fell 6.2 per cent from last year to $498 while units fell 4.9 per cent to $401. Darwin houses fell 16.4 per cent to $591 and units dipped 9.8 per cent to $477, which the report said is likely to worsen before the market finds a bottom. However, rents for both houses and units increased in every other capital city. Houses in Hobart rose 1.5 per cent to $316, while units rose 5.6 per cent to $279. In Melbourne, houses grew 3.1 per cent to $476 while units were up 2.2 per cent $364. Sydney houses rose 3.2 per cent to $692 and units rose 1.2 per cent to $480. Adelaide saw houses gain 2.2 per cent $364 and unit climb 1.3 per cent to $282. In Brisbane houses were up 1.7 per cent to $450 while units rose 1.1 per cent to $370. In Canberra, both houses and units rose 1.0 per cent to $485 and $377 respectively.